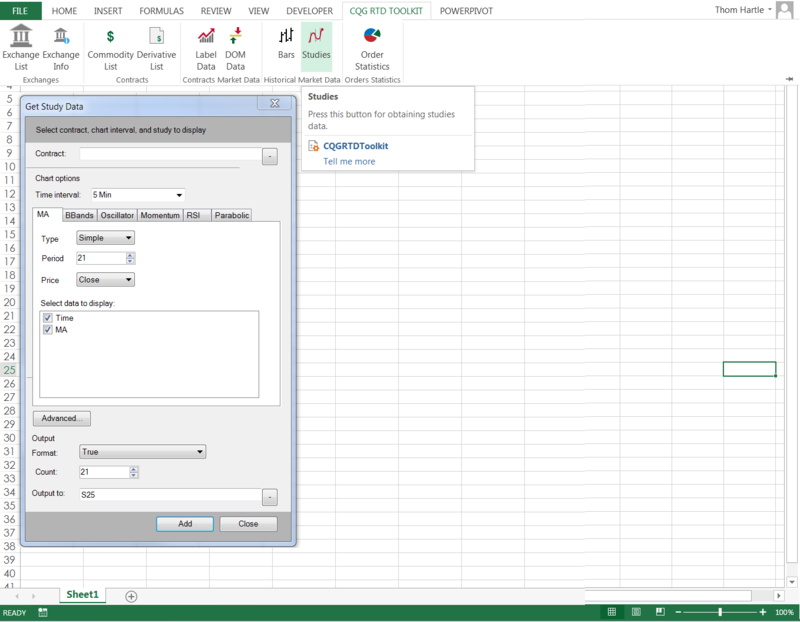 This Microsoft Excel® spreadsheet uses RTD formulas to pull today's basic orders and positions information from CQG. This Add-In for Microsoft Excel® pulls today's market and orders and positions data into Excel via the Internet. Historical data is not available. CQG products do not need to be running. This Microsoft Excel® dashboard displays trade system statistics pulled from CQG’s Backtesting module. Enter the system's “short’ name, chart time frame, and symbol.